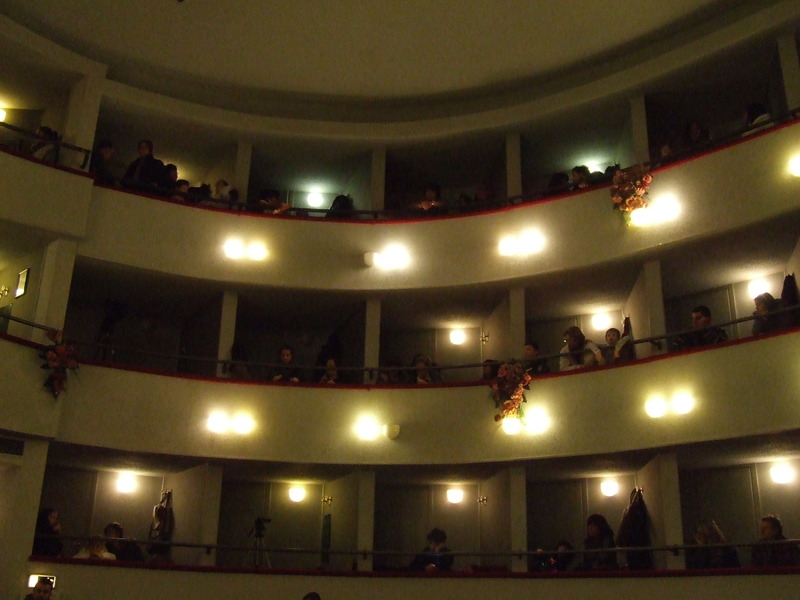 Teatro Accademio in Bagni di Lucca hosted a fun night recently. 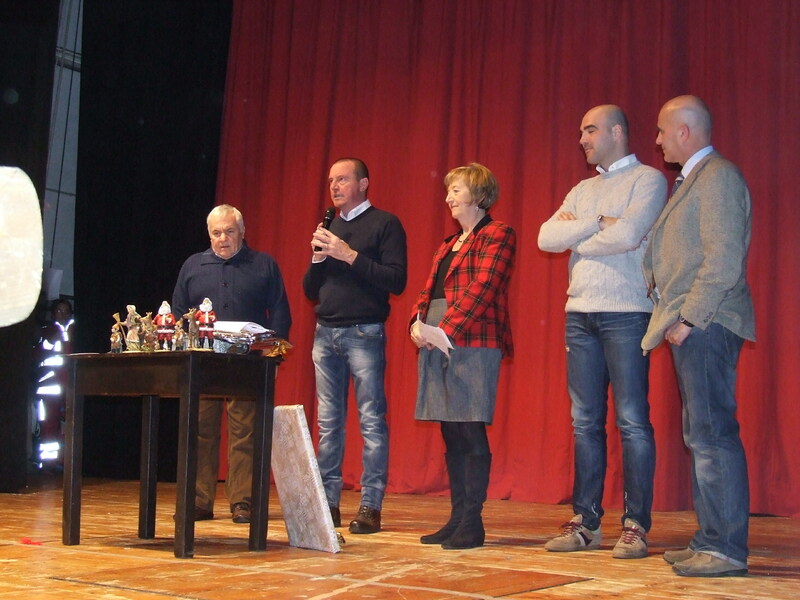 Awards were presented to the creators of the best Presepe and Mailart. The lovely theatre was full. 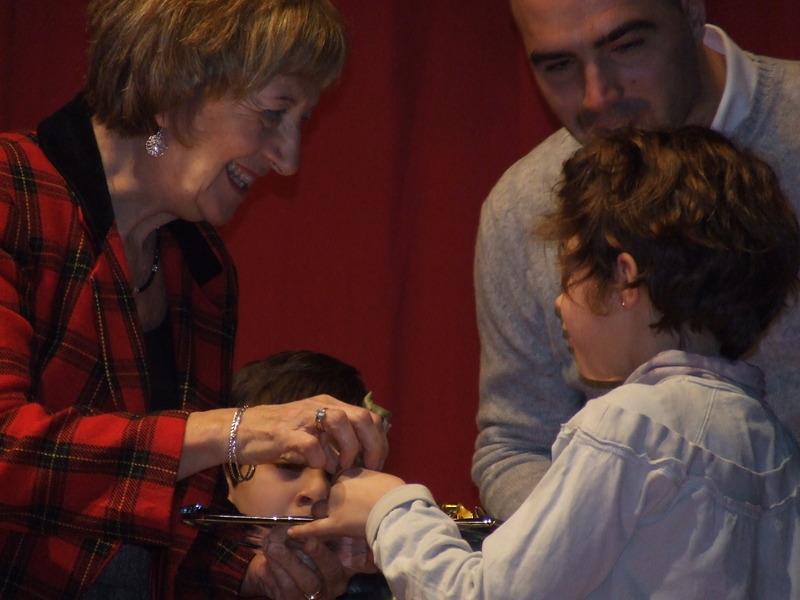 The awards were presented by members of the Bagni di Lucca Proloco and Borgo degli Artisti. Afterwards members of Croce Rossa performed Pinocchio. Here are some of the wonderful Mailart entries. 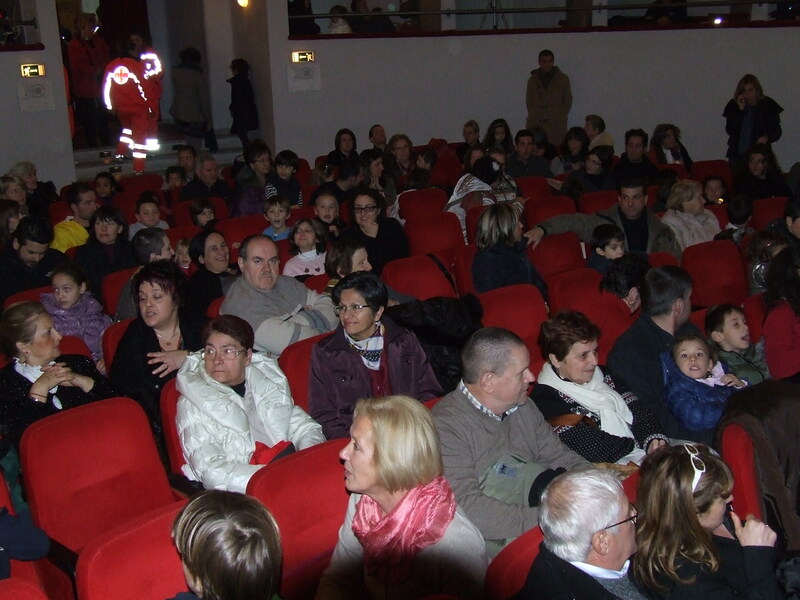 At the end of the evening Befana came down on stage from above and went out into the square in front of the theatre to pose with the children for photos. The staff from Croce Rossa distributed stockings filled with goodies for the children. Thank you to Morena Guarnaschelli for the photos and details of the evening. I will be in Bagni di Lucca myself soon to take part in local activities…can’t wait. This entry was posted in Things to see and do and tagged Bagni di Lucca, Italy, local events, photography, travel, Tuscany by Debra Kolkka. Bookmark the permalink. There are some talented children in the village. thank you Debra for the photo…can I use to put in facebook? !